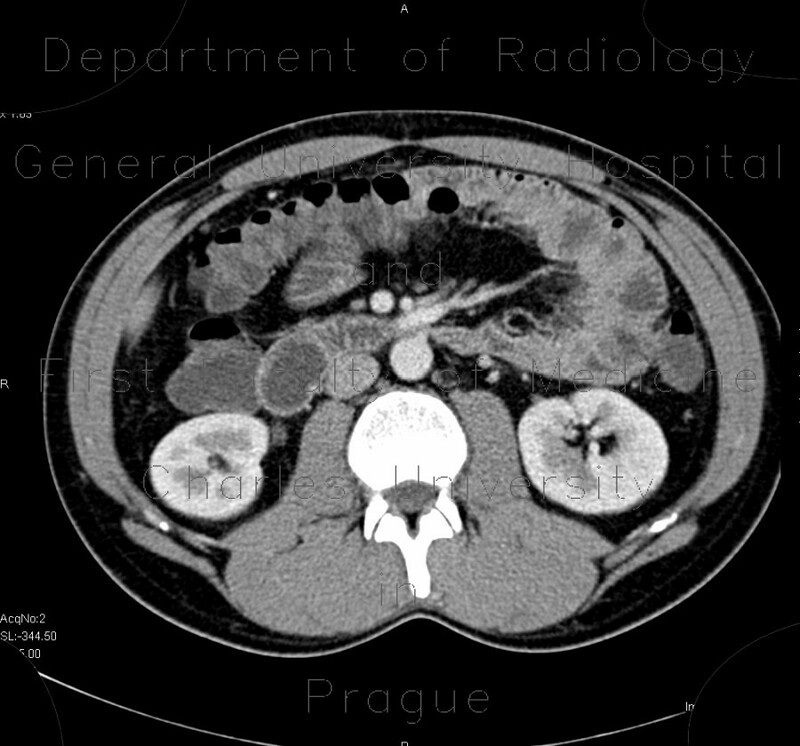 CT enterography shows very little space between the superior mesenteric artery and the aorta. Here the horizontal part of the duodenum passes and is compressed by these two causing problems in evacuation of the duodenum and the stomach. In this clinical setting, where the distance beween the aorta and the superior mesenteric artery is 8mm and less, this syndrome should be suspected.